Published last week Ann Coulter provides a thoughtful, powerful column on racism or the lack thereof in America with a focus on the University of Oklahoma students that she suggests may have just been trying to record their own rap video. Race is an issue, as Coulter notes, in large part because the personal political and financial success of so many depend on keeping old hate alive. 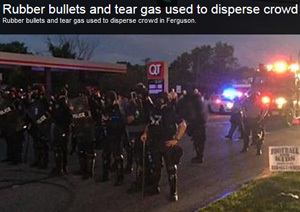 After police officer Darren Wilson fatally shot Michael Brown last summer in Ferguson, Missouri, the media erupted in terror at the prospect of young black men being gunned down by over-excitable white cops. Over at Salon, Brittney Cooper said the Brown shooting proved that black people “are prey” — a charge so moronic even a Starbucks barista wouldn’t discuss it with you. In a TV segment The Huffington Post called “searing,” a few weeks after the shooting, MSNBC’s Melissa Harris-Perry exposed the racism of contemporary America by quoting from Dred Scott — an 1857 Supreme Court opinion written by Roger Taney, appointee of the father of the Democratic Party, Andrew Jackson. Oh, to be there when Harris-Perry finds out about the 13th Amendment! After two separate, wide-ranging, phenomenally expensive, months-long investigations, including one by Eric Holder’s Justice Department, it turned out: Brown had attacked Officer Wilson, he did not have his hands up, he was charging the officer when he was shot, and Wilson acted in justifiable self-defense. Instead of the “brutal assassination” of a black man, Holder’s big indictment of white America is that cops in Ferguson give blacks too many traffic tickets. Even that feeble proof of racism is clearly false. The only two serious studies of driving habits by race ever conducted — one in New Jersey and one in North Carolina — found that blacks are far more likely to speed than whites, and at much higher speeds. Indeed, the entire country is snickering at any report that treats as news the fact that blacks are arrested at higher rates than whites, whether in Ferguson, the Upper West Side of Manhattan or anyplace else. 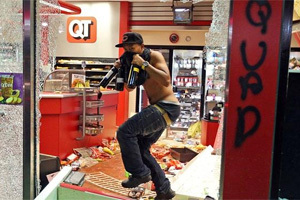 Blacks have a higher crime rate than whites, ergo, they have higher arrest rates. Ice skaters have more skating injuries than tennis players. Even New York City’s liberal former mayor, Michael Bloomberg, responded to complaints about the city’s “stop and frisk” policy by saying that, based on witness and victim descriptions of the suspects, the police were stopping “whites too much and minorities too little.” In liberal Santa Monica, blogger Steve Sailer reports, blacks are arrested at a rate many multiple times higher than the rate in Ferguson. Apparently, the new national sport is destroying the lives of young people. Today’s adults are held responsible for nothing. The president and attorney general aren’t held accountable for ginning up frenzied mobs based on a lie, leading to two cops being assassinated in New York City and two cops being shot in Ferguson, in addition to the $250 million in property damage. 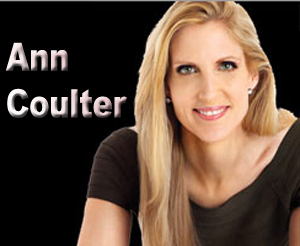 Click here for more from www.AnnCoulter.com. The entire column is well worth the read, but the last paragraph might well be tattooed on a few foreheads prior to any media interview. Instead of judging society by the inebriated songs of 19- and 20-year olds, perhaps we should judge it by how cultural and political elites treat their young people. This entry was posted in Tulsa Speaks on March 24, 2015 by admin.